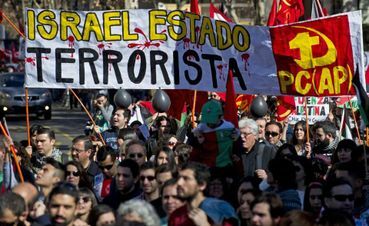 The BDS movement should find fertile ground in Latin America. Thanks for the post Sam. I'm glad others are noticing. Applause ! That whole bloc cannot possibly be in error, wish the Western world would have just a small portion of their courage and just judgement! Yes, and of course a boost for BDS! Israel had been warned for quite some time it would end up isolated if it keeps that policy. I ditto that JL A. Good comments from Latin America. Noted with hope and relief! Thanks for posting, Sam! Given that the USA has grossly interfered with far too many countries in Latin America over several decades, am delighted with their response! Solidarity can work miracles! The next step is to direct that rage at the country/countries whose arms Israel is using to slaughter the Palestinians. Latin America leaders are expressing they views and positions despite the internal (corporate press) and external enormous pressure. Thanks for the article, Sam. Perhaps they should worry about their children more? They do, but unlike the Israeli government they worry about other people's children too. I read an article asking if the U.S. govt. is uncomfortable characterizing the Israeli take-over of Gaza/West Bank as "occupation" because America is founded on occupied lands--those stolen from the indigenous people of this continent. (Just as Israel exists on land usurped from the Palestinians, who were forced to leave their homes and move to the Middle eastern equivalent of a 'reservation') The people of Latin America have had their dealings with the colonizer civilizations--so I imagine they can relate to being on the Palestinian's side in that situation. The U.S., through slavery and Jim Crow laws, existed in a state of apartheid for many years, keeping a whole group of it's people in lives where they were deprived of their human & civil rights, much as the Palestinians are stigmatized in Israreli society. Noted...thank you for sharing....maybe other countries will speak out as well against this atrocity. Thank you for posting this article, Sam. Brazil, Ecuador, Chile, Peru and El Salvador have called back their ambassadors in Israel. Four of the five Mercosur countries issued a statement condemning Israel for "disproportionate use of force". The four signatories were Argentina, Brazil, Uruguay and Venezuela. The fifth member, who refused to sign, was Paraguay. Bolivia had severed diplomatic relations with Israel in 2008-2009, during "Operation Cast Lead". It is a pity that some people disdain our efforts to take a stand against the atrocities committed by Israel.